ВИСОКОКАЧЕСТВЕН НЕБАЛАНСИРАН ХИБРИДЕН КАБЕЛ ЗА ВРЪЗКА МЕЖДУ УСИЛВАТЕЛ И СУББАС. ЦЕНАТА Е ЗА 1 М, БЕЗ КОНЕКТОРИ. Core: PE foam; Jacket: HULLIFLEX ® / 300 Vrms min. 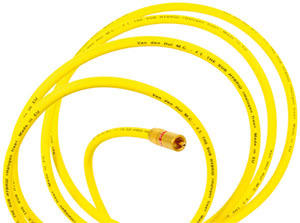 100 m. reels; Single packed with RCA (unbalanced) connectors in 3.0 and 5.0 m. lengths; Other lengths: please consult your van den Hul dealer or the van den Hul distributor in your country.